Quick and delicious, grilling isn’t just for the summer. 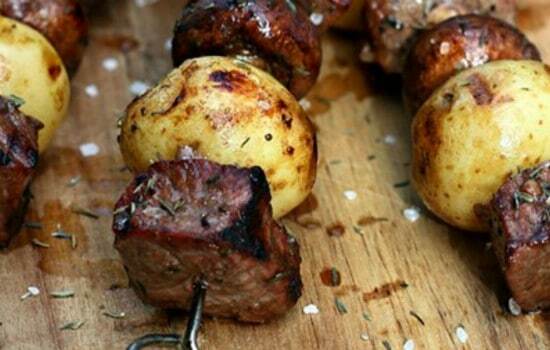 In this list of the best grilling recipes, we have compiled 20 different and delicious grilling recipes. And, with everything from main dishes to sides to dessert in this list, you can grill a complete and delicious meal in just minutes. Be warned, however, with so much good grilling going on you may suddenly find that your neighbors are your new best friends! 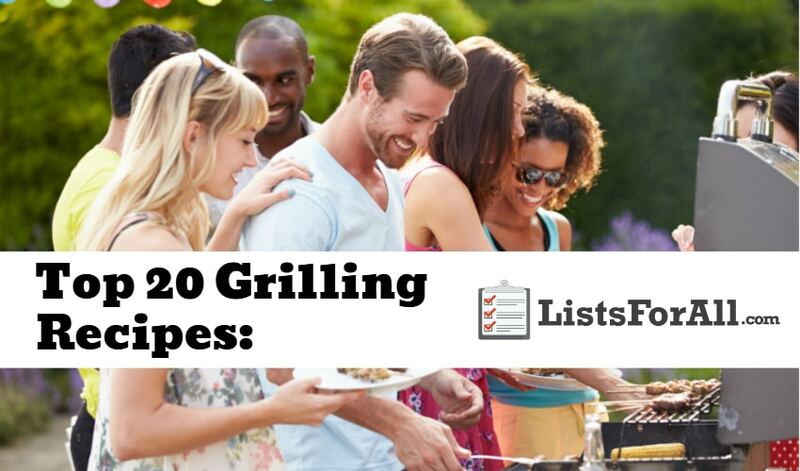 Thankfully, all of the recipes on this list can easily be adapted to feed large crowds, so fire up the grill and let the grilling begin. If you love cooking (or just love food) check out our list of the best cooking blogs for even more great recipes. Also, our list of the best kitchen accessories will cover all of your inside cooking needs. 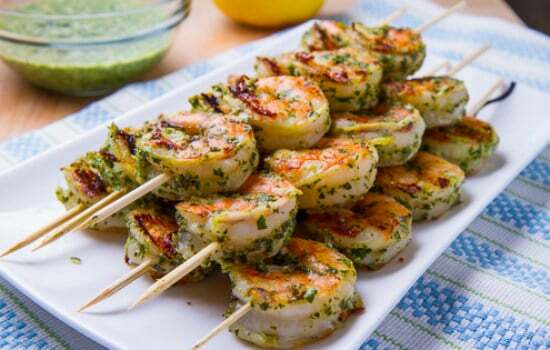 Featuring a tasty pesto rub, this shrimp skewer recipe is a great way to cook shrimp. Light and delicious, this recipe is the perfect complement to grilled veggies. 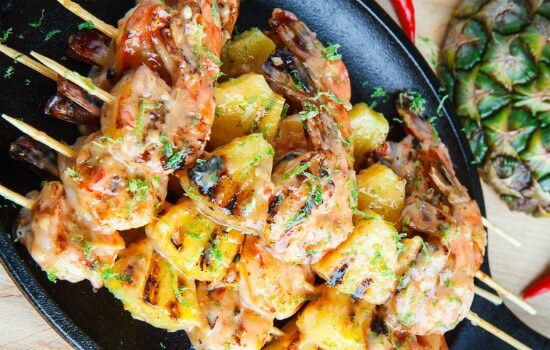 Jumbo shrimp taste exceptionally good in this recipe, so if you have them on hand, be sure to use them. 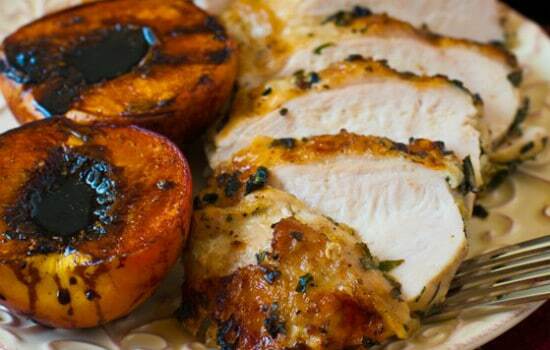 Grilled with the skin on, this grilled basil garlic chicken breast recipe allows for crispy skin and moist meat. The garlic and basil also give tons of flavor to this dish, making seconds a necessity. Hearty and filling, these no-frills grilled steak potato mushroom kabobs are perfect for the meat and potato type eaters in your life. 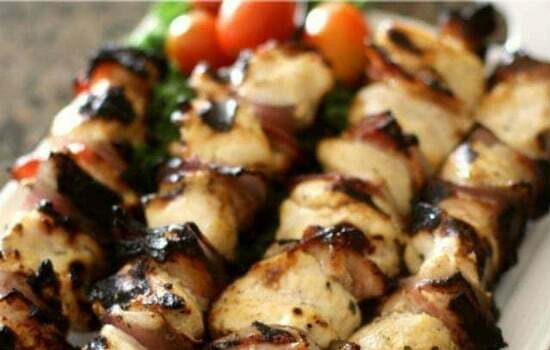 Marinated in seasoned olive oil and balsamic vinegar, these kabobs are flavorful and tender. 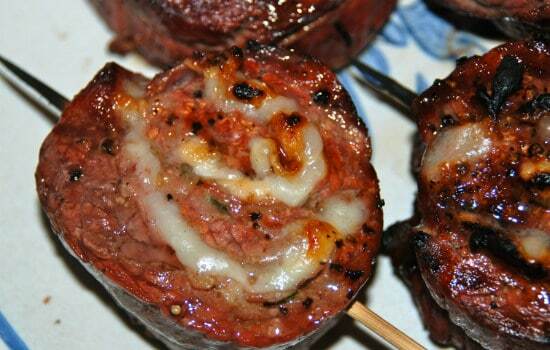 Throw these on the grill next time you need a quick meal. Simple, yet delicious, these grilled bacon wrapped asparaguses are a great side to whatever meat you are grilling. 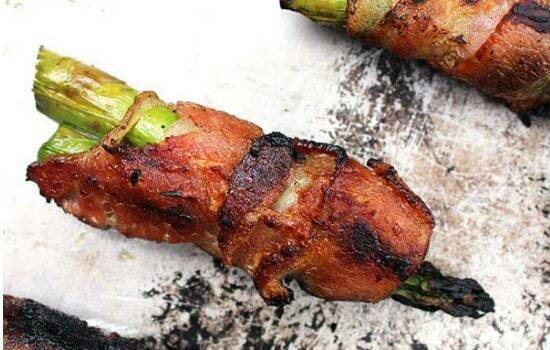 Simply cut the asparagus spears and bacon in half, wrap the bacon around the asparagus and secure with a toothpick. After that, throw them on the grill for 25-30 minutes at 400 degrees and they will be ready to eat. A fun take on bang-bang shrimp, this recipe subs out the mayo in bang-bang shrimp with coconut cream. Add in the sweet chili sauce and a side of grilled pineapple, and this is a tasty, tropical treat. The next time you are craving something sweet, yet savory, give this recipe a try. 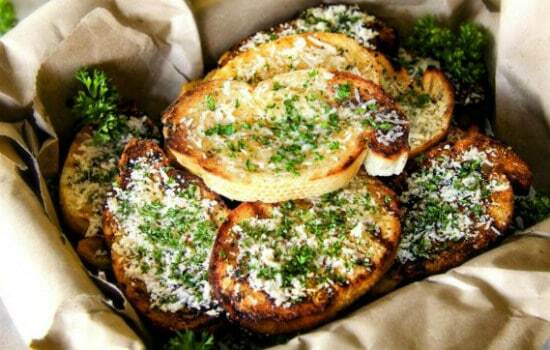 If you just can’t part with carbs, even when grilling, this delicious grilled Parmesan garlic bread is just for you. Thick and buttery, the grilling makes for crispy edges and an ooey-gooey, cheesy center. Make this any time you need a side! Who doesn’t like a good corn fritter? 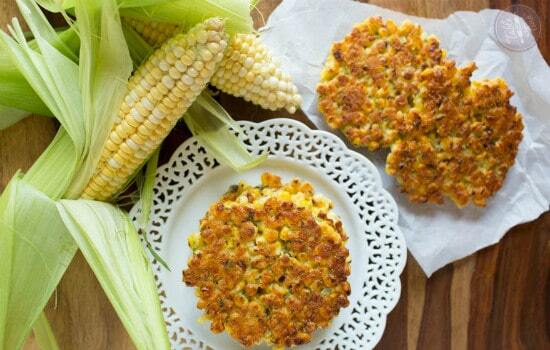 Make it a grilled corn fritter, and it is even better! Made of cornmeal, flour, baking powder, milk, corn, oil, and spices, this is a quick and easy side to whip up. Make this next time you have some extra sweet corn on hand! Lemon butter reigns supreme with this grilling recipe. Lobster tails on their own are delicious, but the addition of lemon butter kicks these grilled lobster tails up a notch. 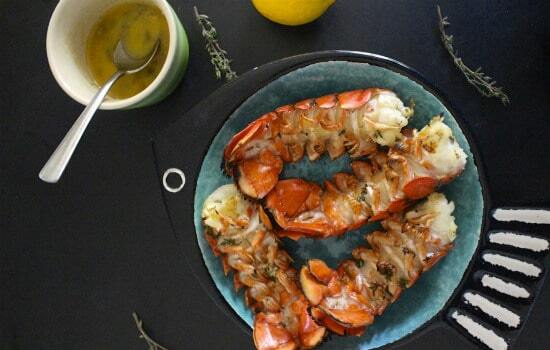 Next time you have some nice, big lobster tails that you want to grill, make this lemon butter mixture to go with it – you won’t regret it! Grilling vegetables is a great way to bring out their flavor, and this balsamic garlic grilled mushroom skewers recipe is a great example. This recipe is easy to prepare too. 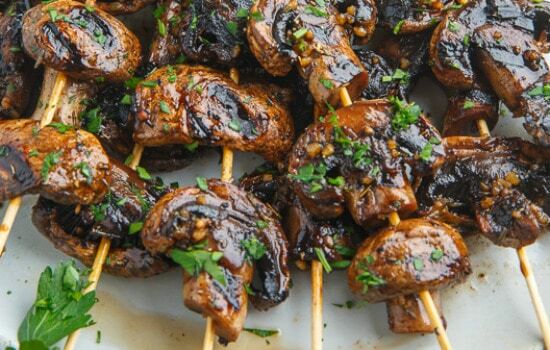 Start with marinading the mushrooms in a delicious yet straightforward balsamic garlic marinade. After that, thread them on a skewer, and then grill away! It’s the perfect addition to any meat. This orange Dijon grilled chicken is a chicken that you will want with everything – tacos, salads, sandwiches, and of course, on its own. It is a tasty and versatile chicken recipe. 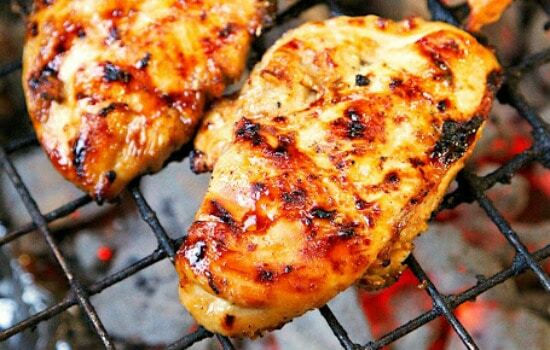 The marinade ingredients are fresh orange juice, brown sugar, Dijon mustard, garlic, and apple cider vinegar. This a refreshing and unique flavor combo that will likely become a grilling staple for you. Want a simple yet tasty dessert to throw on the grill? 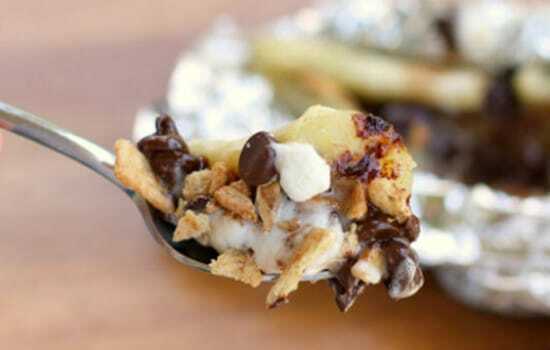 Look no further than this grilled chocolate banana foil pack. With a peeled banana, miniature marshmallows, chocolate chips, and crushed Cinnamon Toast Crunch cereal (or just cinnamon), thrown into a foil packet and then grilled, this is a gooey, delicious treat. If you want to jazz up your usual grilled chicken, try these grilled Thai peanut chicken skewers. 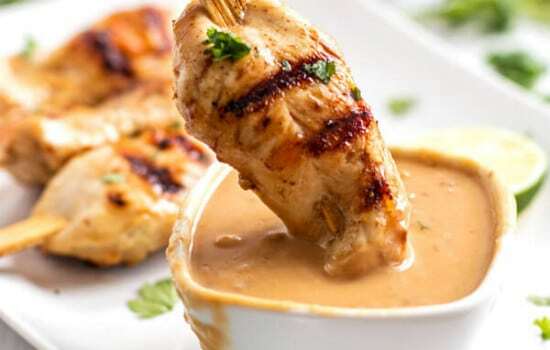 The satay style peanut butter dip paired with this chicken is top-notch. Peanut butter, lime juice, and soy sauce combine to create a tasty and easy dipping sauce. Make this in place of takeout! 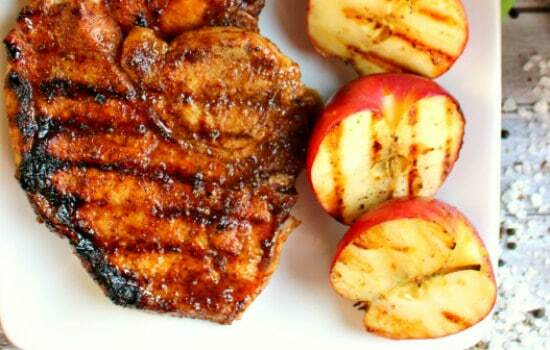 Perfect any time of the year, this grilled apple cider pork chops recipe will be the star of your grill. Lean and flavorful, this dish is also healthy. Pair them with some grilled apple slices, and you will be in apple heaven. 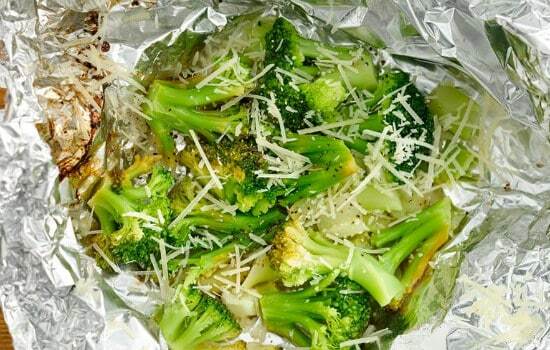 In this grilled lemon Parmesan broccoli recipe, broccoli goes from ho-hum to “More, please!” And, with the dish packaged in foil, grilling and cleanup are as easy as 1-2-3. For a no-fail recipe, this is the way to go. 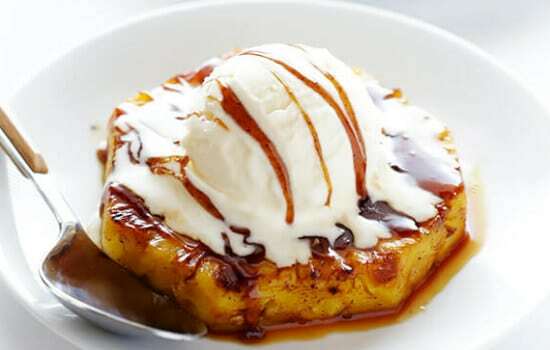 Perfect for entertaining, this rum-soaked grilled pineapple is a version of pineapple foster. Add in the fact that the dessert is delicious and a breeze to make, and you have a winner. Ranch. Chicken. Bacon. What is there not to love? In this recipe, three delicious ingredients come together and make for an easy and tasty main dish. Be sure to make plenty, however, as this goes quickly. 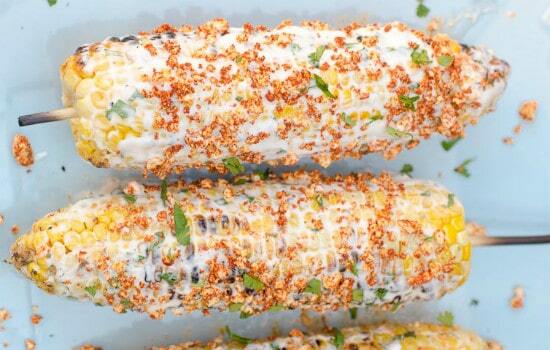 While grilled corn is always delicious, this Mexican street corn recipe takes the cake. With a delightful creamy spread and a flavorful spiced cheese topping, this is one corn on the cob recipe that is a must. Stuffed with prosciutto and provolone, this grilled stuffed flank steak is a departure from the norm. And, with the addition of parsley, garlic, shallots, and olive oil rub this steak is also juicy and flavorful. Wrapped in foil and covered in a brown sugar rub, this grilled brown sugar salmon is a breeze to grill. And, with the foil wrapping, cleaning the grill is a cinch. 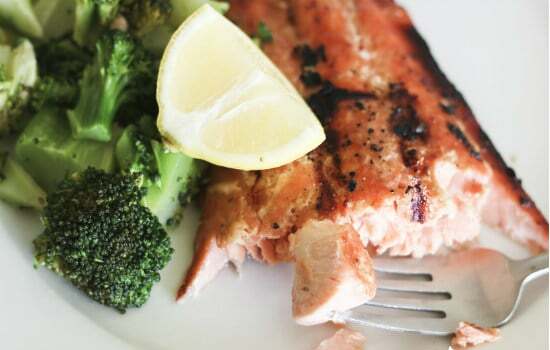 If you enjoy salmon, this recipe is perfect for you. 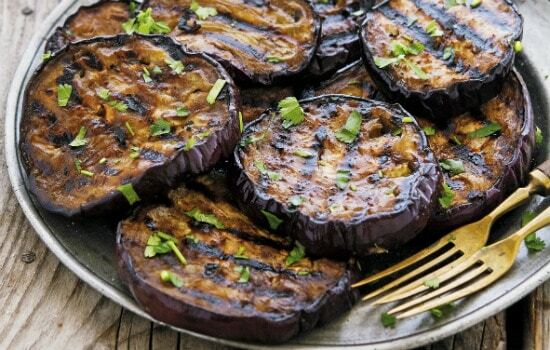 A fast and easy side (or main dish for your vegetarian friends), this grilled balsamic eggplant recipe is tasty and healthy. You can even use some of the leftover balsamic glaze for any steak you may throw on the grill as well. When you think of grilling something, you almost automatically associate it with being some kind of meat. While this list does provide a lot of great meat options, it also provides some excellent non-meat options as well. With all of the sides that you can grill as well, you can prepare an entire meal on the grill. If you have a full-blown grilling out party, make sure that you check out our list of the best vodka brands and best whiskey brands to help add to the fun. We would love to hear how any of these recipes turned out for you in the comments below.